Leonard Cohen was born into a prosperous Jewish clothing family in Montreal, Quebec, in 1934. His father died when he was just nine and this had a profound effect on his life. Several years later, an elder boy who'd taught him to play guitar, failed to show for a fourth lesson because he'd commited suicide - so Leonard's youth was by no means a happy one. He played and sang in a combo called The Buckskin Boys whilst studying at McGill University and whilst there attracted attention as a student poet. After graduation, he had a spell as a law student and also worked for the family business, but it soon became evident that his first love was poetry. He paid to finance his first book 'Let Us Compare Mythologies' in 1956 and initially sold copies on the campus and in coffee bars. It was warmly received, won a national poetry prize, and followed soon after by a second collection, 'The Spice Box Of Earth'. A U.S. release, Six Montreal Poets in 1957, featured him reciting eight poems from his first book, but is not at all easy to find now. In April 1958, he appeared at Dunn's Jazz Parlour in Montreal reciting 'Gift' to a jazz-piano backing. In 1959, a grant from the Canada Council enabled him to travel to Europe and he spent from 1959 until the mid-sixties on the Greek island of Hydra among a community of artists and writers. Whilst there he wrote a controversial poetry collection, 'Flowers Of Hitler' and two novels, 'The Favourite Game' (1963) and 'Beautiful Losers' (1966). He also met a Norwegian woman, Marianne Jenson, there, who later provided inspiration for one of his seminal songs. In 1964, he was the subject of a film, 'Ladies and Gentlemen, Mr Leonard Cohen', which included several of his poems and one song, Twelve O'Clock Chant. By 1966, when he appeared on the album Canadian Poets, I he was recognized to be Canada's leading poet. He was awarded, but refused due to his modesty, the Canadian Prize for Literature. It seems that while working on 'Beautiful Losers' Cohen developed an interest in country music and decided to head to Nashville to record a country and western record. En route he heard a Dylan song and ended up in Greenwich Village instead. His first big break musically came when he was introduced to Judy Collins, who was interested in his songwriting. When Suzanne, from his 1966 'Parasites Of Heaven' collection of poems, was complete, the story goes, he rang her from Montreal and sang it down the 'phone to her. She recorded it on her classic In My Life album. In 1967 she recorded Priests, as did Richie Havens in 1969. In 1967 he joined her on stage at her Summer concert in New York's Central Park. He followed this with an appearance at the Newport Folk Festival later that year. In January 1968, having signed to CBS/Columbia his debut album, Songs Of Leonard Cohen, was released and became a huge cult favourite, though much of the style and material was profoundly depressing. It was far more successful in the U.K., where it went on to reach No. 13 in the Autumn. In the U.S. it peaked at No. 83. Suzanne was released as a 45, but failed to chart - in fact, Cohen never achieved a hit single in the States, Britain or Canada, but his music wasn't aimed at the singles market. The album was notable for very sparse backing throughout, though the U.S. band Kaleidoscope were featured on So Long, Marianne, another track that appeared on 45s. A classic of its genre the album also featured several other of his seminal songs, notably Sisters Of Mercy. As the strength of his songwriting became apparent, several artists rushed to cover his songs. He suffered a nervous breakdown prior to recording the follow-up, Songs From A Room, which became a real bedsitter classic and included memorable songs like Birds On The Wire, You Know Who I Am and Tonight Will Be Fine. It climbed to No. 2 in the U.K. and No. 63 in the States. In May 1970, with his backing group The Army, which included Charlie Daniels, he toured Europe - a tour which culminated in a successful appearance on 30th August at the Isle of Wight Festival. The extensive touring meant his third album, Songs Of Love And Hate, didn't appear until March 1971. It was far less consistent than the first two, but did include some fine moments, notably Love Calls You By Your Name and Famour Blue Raincoat. It included one cut, Sing Another Song Boys, recorded at the Isle of Wight Festival. The album was arranged by Paul Buckmaster and early copies included a small booklet featuring a list of credits. It peaked at No. 4 in the U.K. and No. 145 in the U.S., but got an additional boost when Robert Altman decided to use some of the songs in his film 'McCabe and Mrs Miller', which starred Warren Beatty. 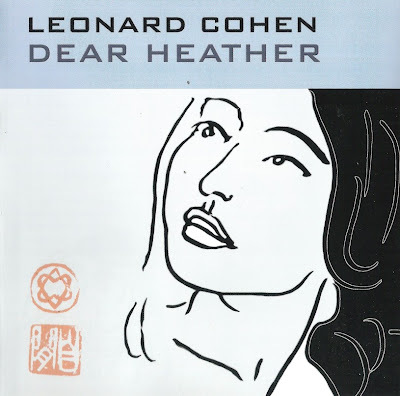 After this album Cohen withdrew to Hydra to rest and Columbia/CBS plugged the gap with Live Songs, which comprised material recorded between 1970 and 1972. The bulk of the material comprised old songs, including five from Songs From A Room. It sold over � million copies and got to No. 156 in the States, but didn't chart in the U.K.. The new material included a cover of Passin' Thru, the 13-minute Please Don't Pass Me By (A Disgrace) and Queen Victoria. He briefly visited London to promote 'Bird On The Wire', Tony Palmer's film of Cohen's 1972 tour and then returned on a 11-date U.K. tour, which was part of an extensive European tour to promote his latest album, New Skin For The Old Ceremony. This marked a departure from the intimacy and sparse backing of his earlier albums in favour of a lush sound which typified singer-songwriters at this time. It included Chelsea Hotel No. 2, dedicated to the late Janis Joplin, but fell below the standard of the first three efforts. It climbed to No. 24 in the U.K., but failed to figure in the U.S. charts at all. 1975 saw the release of a 'Greatest Hits' package, The Best Of Leonard Cohen. Original copies came with an insert and the U.S. issue had a gatefold sleeve, but neither features are included on the currently available budget reissue. Cohen's popularity waned in the late seventies and early eighties. Death Of A Ladies Man (1977), the result of a mistaken collaboration was slated by the critics and later described by Cohen as a 'catastrophe'. "I really wanted Phil Spector in his Debussy period, but what I got was his late Wagner period" he later said. In 1992 with the release of The Future his career was rejuvenated. Closing Time, the single and video from the album, was a big hit. Back in the late sixties/early seventies he appeared on several CBS samplers, including Sisters Of Mercy on The Rock Machine Turns You On and You Know Who I on Fill Your Head With Rock. He remains Canada's most successful poet-songwriter and those first two albums, in particular, remain essential artefacts of the singer-songwriter genre.